There's an angler I've been following recently called RexDelRay. His videos are pretty good and this one in particular caught my attention. Rex is starting a brand called LiveLive and also offering gear that can be used with GoPro style cameras. I thought the ActionHat looked very interesting. I ordered one the hats and I hope to have a review of it soon. I can see this working a lot better than the head strap. This is some video I took on my last trout fishing trip. I apologize for the jerky footage. I'm still trying to figure out a fixed point for the Geekpro Camera. This trip I tried attaching the camera to my wader strap. Later I used the camera on a collapsing pole. Neither setups were ideal. Let me know what you think of the video. Do you like the music or could you do with out it? Last weekend was my first trout trip of fall. With the high barely reaching 60 it didn't feel like fall. I caught several fish mostly on soft hackles. The Piscifun reel worked great. While fishing I dropped my camera in the water and didn't pull up my sleeve far enough when I tried to retrieve it. My sleeve was soaked and even after several attempts to squeeze the water out it stayed wet. I tried to block that arm from the wind the best I could but after about an hour I couldn't take it anymore, I was freezing. I got back to the car all I could think about is getting inside and starting the heater and drying off. The reel was hard to unseat with my cold hands. It finally gave way and popped off the rod. As I saw it fall I didn't want it to hit the ground so I put my boot under it. The reel bounced off the boot and slid under the car. It was just out of reach and I figured I would get it after I removed my waders. Nature called once my gear was off and after relieving myself I totally forgot about the reel. I didn't notice the reel was gone until I got home. I sent an email to a friend that lives near the river I fished letting him know about the reel. The odds of him finding it were pretty slim. Then I got this message the next day. "You must be living right. Went right over after reading your message and found the reel!" I'm not sure if it's a coincidence or just a copycat thing but in the last week I have watched two popular videos of people chumming to catch carp. 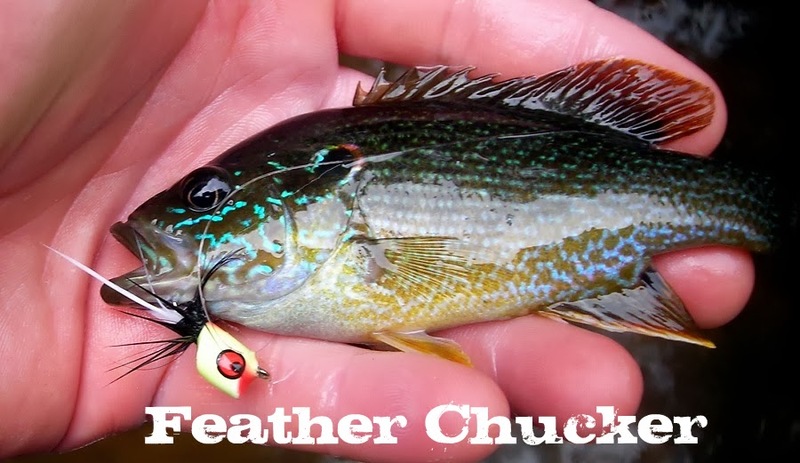 In both videos the angler and I struggle to use the term angler in this example throws several pieces of bread then uses bread on a hook or a fly that looks like a hunk of bread. I was amazed to see in both videos comments like "clever" and "awesome catch!" I don't know why but it really annoyed me. First off say what you want but chumming to catch anything is crap outside of fishing for saltwater fish. The only reason I can condone that is because the ocean is vast. It's not a small pond where you can see the other bank from where you're standing. Second what challenge is it to throw a ton of one thing in the water then throw something that looks similar and have a fish eat it? That's clever? Most anglers have done this sort of thing at one time or another. We don't brag about it because chumming is something a toddler can do. Glorifying it insults those that go out of their way to catch a carp by properly fishing for them. Catching them with techniques that require stealth, great presentation and most of all skill. I know I can't be the only one that feels this way. Feel free to chime in even if you don't agree. I got out for a couple hours on the local lake. The wind was roaring and there was a serious chop on the water. I found a cove protected from the wind and managed a fish. Caught this bass a few days later. So many reels, so little line. Fly line is expensive. Many times I want a sinking version of a similar floating weight I already have. The problem is this line will be used one or two times a year. I'd love to buy $70 Rio line every time I needed it but I can't justify that. The shop Discount Fishing Tackle, Inc sells Scientific Anglers seconds. This allows anyone to get various types of line and not spend a fortune. Each line is around $10 and it doesn't matter if the line is floating, sinking, weight forwarded or double tapered. The fly line isn't shipped with any factory packaging. Usually it arrives like this. My cat really wanted to be a part of this post. The shop is nice enough to tag the end of the fly line that attaches to your backing. Every time I've called the shop their service has been great. If you're in the market for a fly line I highly recommend trying these out. I've seen the crittermite fly before but never tried tying it. I was not convinced the tails made a difference when it comes to catching fish. I read a post recently on forum I follow where an angler caught some decent smallies. Sure enough the fly in the fishes mouth was a version of the crittermite. I tried tying the same version but with a small twist. Instead of dumbbell eyes I'm trying tungsten heads. I think they give the fly a good look. 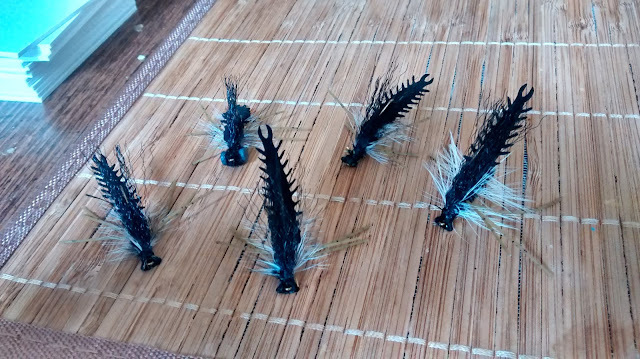 The flies are a work in progress and I'm still experimenting. In my eyes the flies look great but it's what the fish think that matters. My 5wt reel had an issue where the spool came off from time to time when I stripped line. At first it only happened once or twice a fishing trip. More recently it was happening every 10 casts. I couldn't stand it anymore and decided to retire it. While looking for a replacement I didn't want to spend a ton, because usually the fish I catch on my 5wt rod don't require a good reel. I rarely fight fish on the reel itself. I found the Piscifun Reel on Amazon. I don't normally look for fly fishing gear on Amazon and the name of this reel sounded stupid. What kept my attention was the design of the reel and the reviews. The majority of the reviews gave it 5 stars. For $35 I decided to try it out. 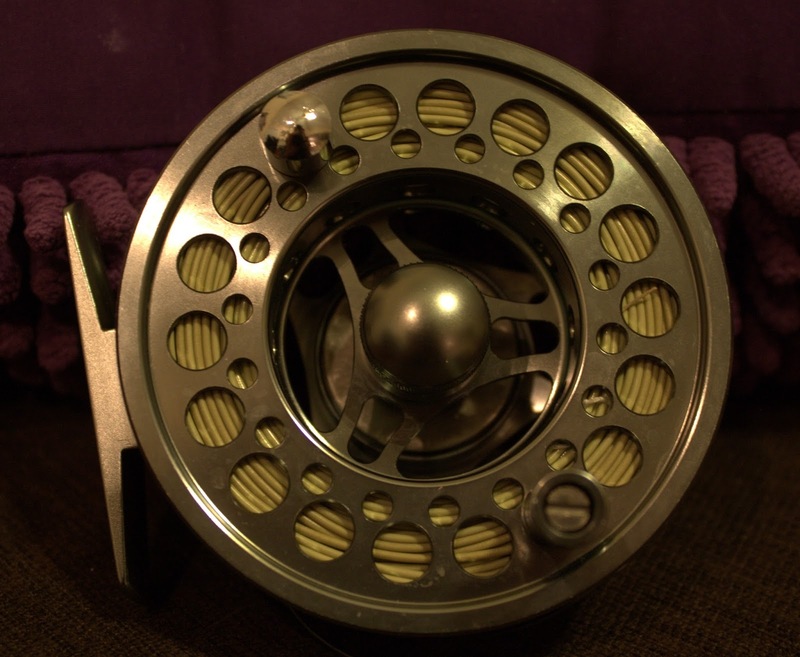 This reel definitely looks fancy out of the box. The finish is like most machined designs. The drag system is basic about what I expected. The reel is very light and the action when reeling line is fluid. The reel should handle a few drops but if you stumbled and fell with your weight on it I think it could bend. When I used the reel a few times I found it doesn't like dirt. You're going to need to make sure you keep your line clean. This reel will definitely require more service than the one I had before. Even with the cons this reel is better than the previous one and it's a great replacement. 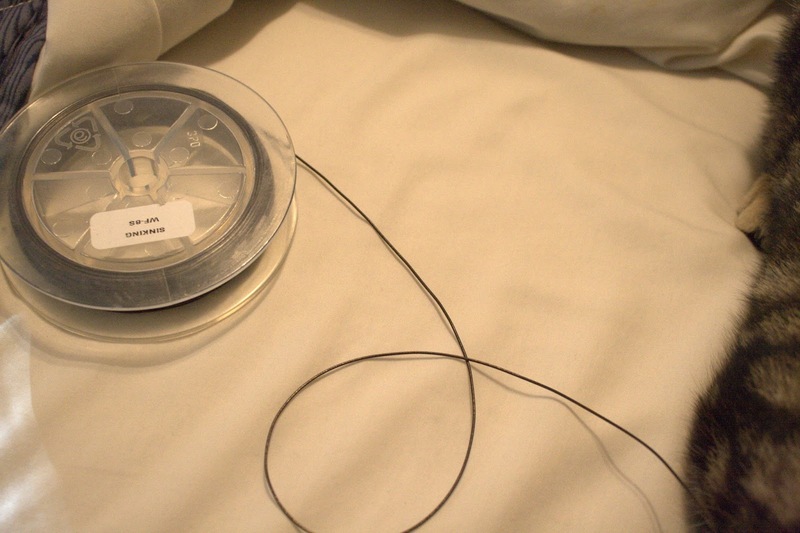 It would be a nice spare reel to leave in you car. Just in case you hit the river and forget something. 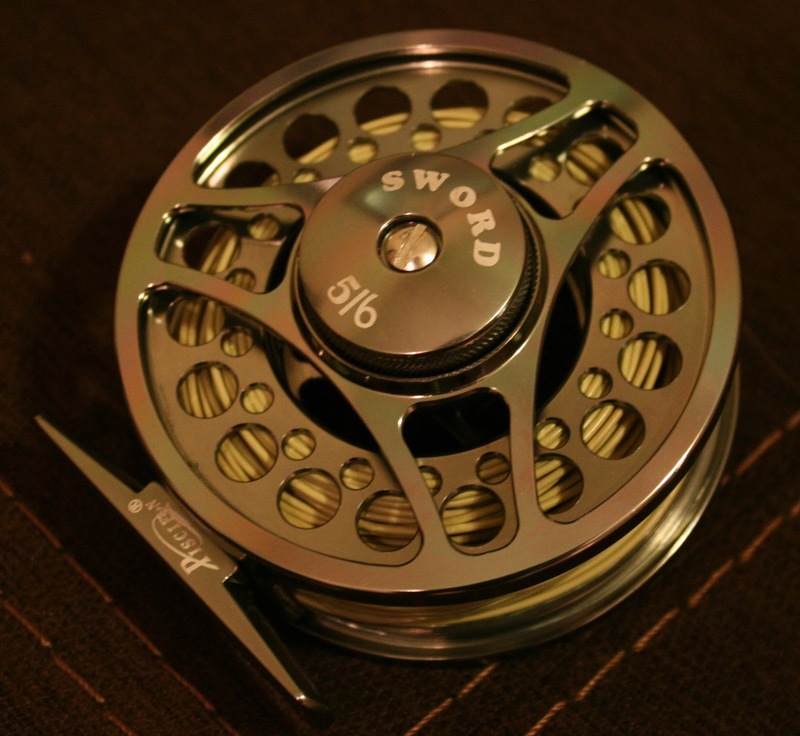 I've been on the lookout for a new 8wt for quite some time. I really just needed the rod and didn't want to spend over $150. 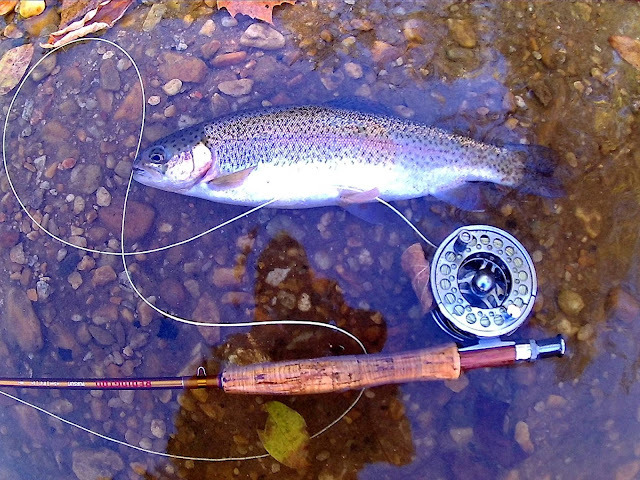 While surfing different deals I kept coming back to Allen Fly Fishing. I tried a couple Allen rods at the last fly fishing show. To be honest I didn't really think they were that special but the price point of their 8wt combo package was too good to pass up. I decided to pull the trigger and give the combo a shot. 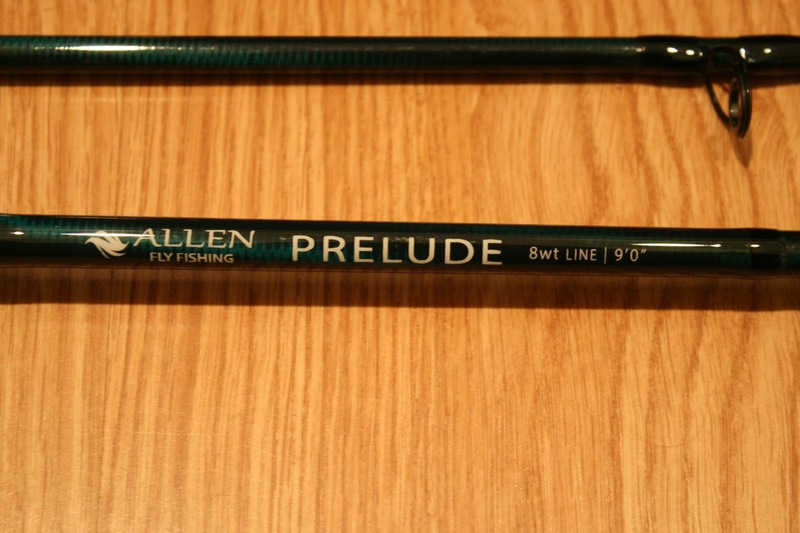 The Prelude combo included a 8wt reel lined with backing and fly line. With a $150 price tag I didn't expect much but when the rod arrived I was impressed by the case alone. It was very nice and seems like it could handle a lot of punishment. The reel came in a neoprene case and the quality of the rod was fantastic. The blanks have a beautiful finish. they look black at first glance but as your turn them in the light they have a green sheen to them. 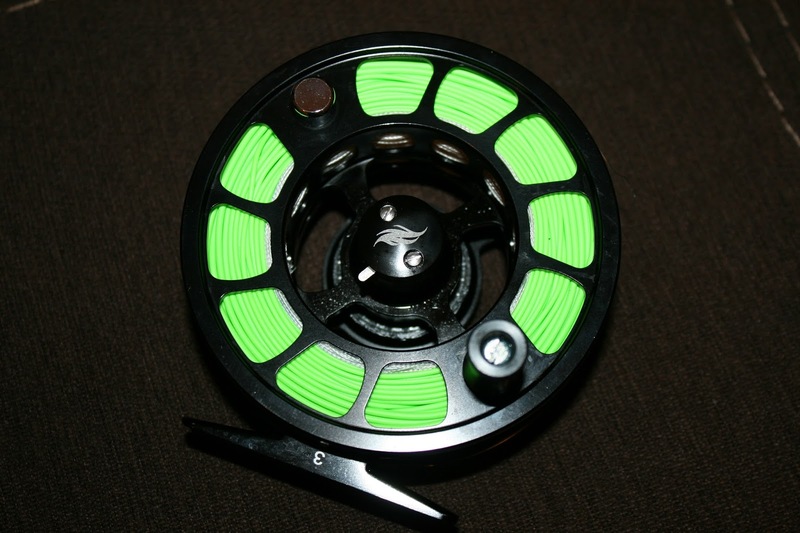 The reel is very light weight and the drag seems very smooth. I've used it a few times and I'm very happy with it. The line seems to be decent. I'm not sure what kind it is but I'd compare it to Scientific Anglers. When I'm fishing from my kayak I need a rod that can cast big flies effortlessly. This combo fits that solution perfectly. I can cast poppers or large heavy flies with ease. I was using the rod when I caught a decent bass in this video. It's the footage around minute 3 and at the end of the video when you just see me casting. You can tell from the video that it's not taking me much effort to cast near the weeds. If you're looking for a great value in a rod combo I definitely recommend checking out Allen Fly Fishing. Their customer service is very good as well. Allen is having another great deal right now. 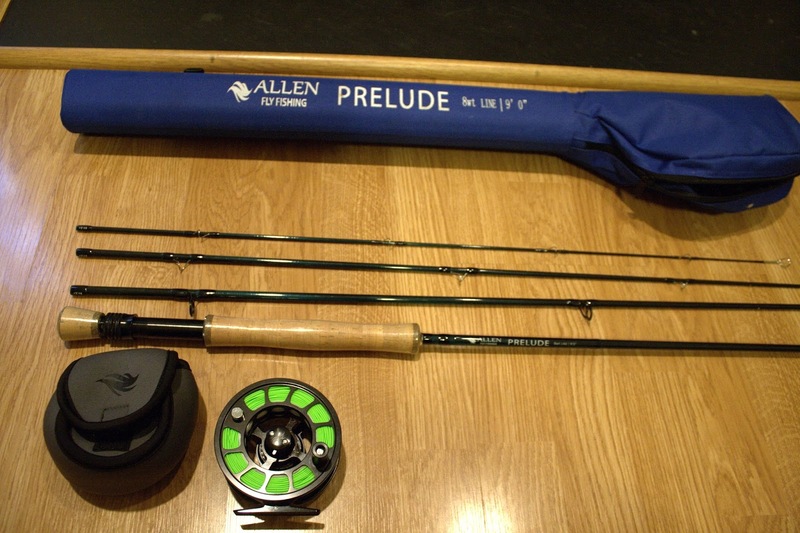 If you buy $250 of Exterus Apparel you can get a Allen Heritage or Alluvian rod free. A $209 value.